I love October for many reasons. For me, it’s really the beginning of fall. I love seeing the autumn festive colors and Halloween decorations in stores. Not only that, you see pops of PINK! Yes, pink! 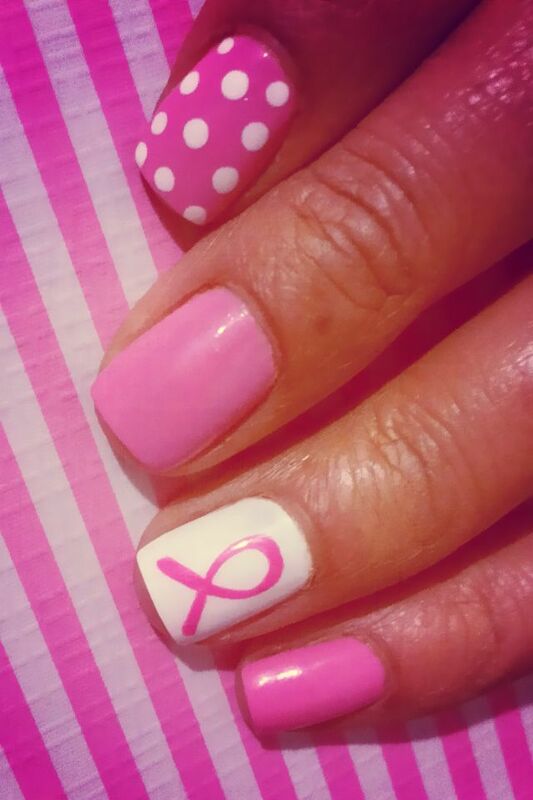 Because October also happens to be Breast Cancer Awareness month. Having worked as an intern with Susan G. Komen for the Cure, and completely behind the health belief of “prevention works”——getting regular screening tests can detect breast cancer early and lower your risk. It’s something that we should think about each month, not just October. 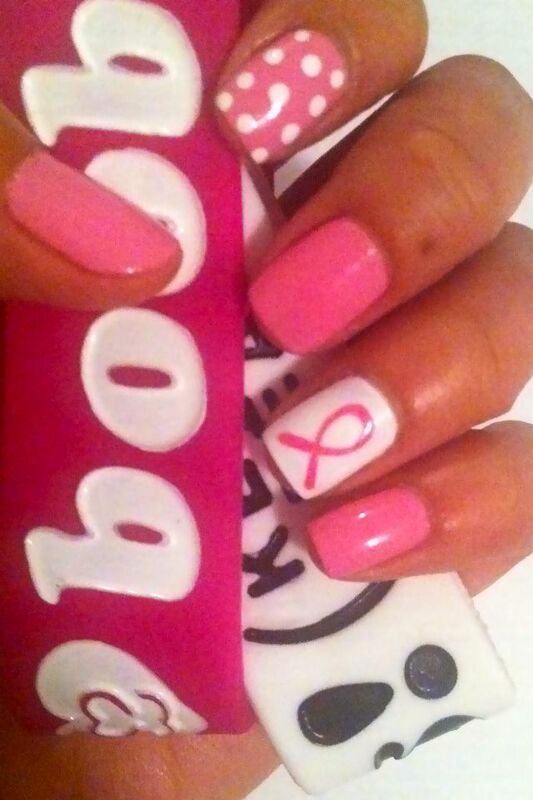 I was inspired by one of my clients, who is a breast cancer survivor, to do some nail designs in support of this month. Hope you like them and hope you all do something to support!